As the first women to produce published translations of the Aeneid and the Odyssey, Sarah Ruden and Emily Wilson are history-makers. And the plaudits for their imaginative, innovative, and poetic work have been decisively flattering. 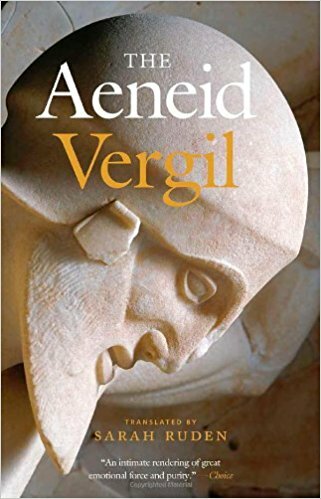 The New York Review of Books claimed that Ruden’s version of the Aeneid “soared over the bar” set impossibly high by Robert Fagles, maintaining both the “melancholy melodiousness” and the “tight aphoristic ring” of Virgil’s original. The Guardian called Wilson’s Odyssey “a new cultural landmark” that “will change the way the poem is read in English” forever. This is high praise indeed—and it’s well-earned. ¶ Yet for all that, as the following interview reveals, Ruden and Wilson seem less driven to create history and more interested in justly honoring the Great Books they’re translating, to offer them freshly to a new audience and a new age. They are motivated first by a love for the text, an affection for the inner-workings of language itself, and a desire to engage in the ongoing dialogue that is the tradition of Western culture. In that, they’re worthy models—and guides—for the literary pursuits of our schools and homes. David Kern: You are the first women to translate the Aeneid (Dr. Ruden, in 2009) and the Odyssey (Dr. Wilson, in 2017) into English. Why has it taken so long? Is it something to do with an old-boys-club vibe in English departments, or is it more complicated than that? Sarah Ruden: I think it is more fundamental than the attitudes in academic departments. Women with literary fire in the belly don’t seem the type to be bested by prejudice alone. The Bronte sisters, for example, adopted male pseudonyms and persisted despite the almost universal judgment of the time that women couldn’t or shouldn’t write anything important. Similarly, if a woman has enough pluck in the face of fashionable intellectual authority to say, “I see and hear in my mind a better translation of this classic, and I’m going to realize that aspiration,” is she really going to be impeded just by being told, “No, you can’t; the old boy network owns this field”? I think it’s mainly about being allowed to do the work. What allowed the Brontes to complete and publish ambitious works was a minimum of the right circumstances. They had just enough education, just enough leisure, just enough money for writing materials, postage, and subventions for printing—and just enough isolation. In a more genteel, less harsh setting, their time would have been taken up with visiting neighbors, entertaining, “fancy work,” courting, and raising families. In any era, the greatest rarity for women is to be able to control their time. That still holds. And when it comes to translating longer works, there have been further restrictions that set women at a disadvantage. As well as time, we need a lot of large, expensive books and room to spread them out; we can’t work like Jane Austen, in a busy sitting room, hiding the manuscript whenever a caller comes in. A university faculty post might look like the perfect solution—a comfortable, quiet office! A large scholarly library! A benign administration patiently cultivating hard literary endeavor!—but in my case it certainly wasn’t. My only academic job, though it was tenure-track, wasn’t at all like the posh ones in the movies, and I had to walk away from it before starting my Aeneid translation. Women, alas, started to enter the academy in numbers just when power was shifting away from faculty in traditional fields (where women are populous) and toward administrators favoring the (more male-dominated) scientific and technical research that corporations like to support. I hope I don’t sound harsh or melodramatic in recalling here a passage in George Orwell’s Down and Out in Paris and London. Orwell mentions various theories for the motivations of tramps; but he’s been a tramp, so he knows that men walk from town to town and stay in one grim hostel after another because that’s the law: They get thrown in jail and prosecuted if they don’t move on. But there are, as he found, certain ways to curtail the endless day-long hikes. Likewise, due to largely nonnegotiable circumstances, women struggle to produce the books that are “big” in every sense. I had to translate the Aeneid by the grace of God and the seat of my pants and an inner drive that I don’t really understand, because that was the law of my society. I wanted to translate the Aeneid; my university, which had all the power, demanded that instead I teach nine short courses, with nine completely different preparations, in a single semester. The tight place I was in is typical, especially for women, and that seems to me to explain why more women don’t translate epics. 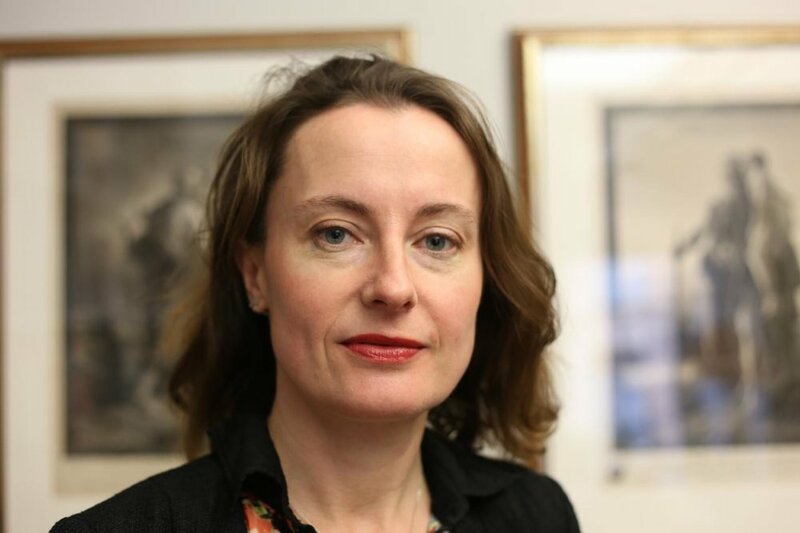 Emily Wilson: I think the idea of simply being “allowed” to do the work isn’t quite enough: People need a social, institutional and economic structure that enables their work. I translated the Odyssey because Pete Simon at Norton asked me to do it. I wouldn’t and couldn’t have done it if I hadn’t had a contract with a guaranteed publisher and paycheck. I suspect, although I don’t know the statistics on this or how to gather them, that editors at major publishing houses may not be entirely equitable about how many female versus male classicists are approached for possible translation projects. I’d love to know those numbers, and I’d love to see more editors inviting more young female classicists to submit proposals for translations. It would change things. Beyond that, I’d second what Sarah says about the fact that for much of history, including fairly recent history, women simply haven’t had the opportunity to do this kind of work. There’s a great Virginia Woolf essay called “Shakespeare’s Sister” which makes this point: If Shakespeare had had a sister with just as much literary and dramatic talent as he had, she wouldn’t have been able to fulfill it. Of course, nowadays, women can be dramatists and novelists, and their work in those fields gets published and celebrated. But you can be a novelist or dramatist without knowing any other languages. Being a translator of ancient Greek and Latin requires a particularly arduous and historically elite/male-dominated kind of institutional training. In the UK in particular, up until a generation or so ago, very few women (or racial minorities or socio-economically disadvantaged people) majored in classics at the fancy universities, because to do so required having gone to the “right” kind of high school—and most of those schools (like Eton or Rugby) were boys-only. I should clarify that the issue is about Classics departments, not English departments; English departments have had much more gender equality for longer than Classics. Things have changed in the academic field of classics in a lot of ways, some of them very positive: It’s my impression that many people in the discipline are much more open to translation as an enterprise than was the case a couple of decades ago. I feel truly grateful to my colleagues at Penn who have been supportive of me in my translation projects. I feel also very lucky, because most people in Classics, male and female, end up in jobs that have no security, a heavy teaching load, and limited healthcare benefits—which, as Sarah suggests, makes it difficult or impossible to do a major project of any kind, including a big translation project. Whatever one’s institutional situation, it’s still the case that a great big translation project, like doing the Aeneid or the Odyssey, is going to take many years of work, and will count for little or nothing toward tenure or promotion. I was definitely aware of that in earlier stages of my career, and I definitely wouldn’t have taken on the Odyssey if I hadn’t already got tenure. I couldn’t have done it; it would have been irresponsible, given that I have kids to feed and a mortgage to pay. On average, women get tenure at lower rates than men, and tend to be asked to do more administrative work than men (again, I’m generalizing here, but from the studies I’ve read, this does seem to be a statistically significant difference, and the two facts are related). In that environment, women (including me) may feel extra pressure to do the “right” kind of work, and that is not translation. We also need to factor in all the other social factors that often make it hard to be successful and productive while being female. It’s still the case that women, including highly educated and successful women, and even those with partners or husbands, tend to spend a lot more hours per week on childcare, eldercare, and housework than their male peers. I’m the single mother of three wonderful and time-consuming daughters; unlike many of the successful male classical translators, I have never had a wife who could pick up the kids and make dinner. That makes a difference, again, to the kind of projects that women can successfully complete, and especially the scale of project that it makes sense to take on. I’ve started to make my own rules. I personally haven’t downloaded a single app to my phone; I’m not on social media; I’ve given up online shopping. If I need something from a website, I phone and have a human interaction while buying it. I know that I’m unusually persnickety, but living behind the times this way not only saves me time but seems to help me take my work seriously. How, I ask myself, can I allow automated demands on my attention, on irreplaceable minutes of my life, which otherwise I can spend, for example, thinking about what a word in Latin or Greek or Hebrew really means? David: So where did this all start, your obsession (can I use that word?) with these works? Did you know you wanted to translate great pieces of literature from a young age? Dr. Wilson: It’s important to begin with a distinction that may not be obvious to people outside the field. Producing a literary/poetic translation of a whole work (whether great or not!) is a very specific kind of exercise. It’s very different from just reading or studying it, or writing literary criticism or some other scholarly analysis of it. And it’s different also from the exercise that students often do at the intermediate level of writing out syntactical renderings of bits of the work we were studying, in order to show that we understood the original. I’ve known from a young age that I wanted to read and study Homer, and ancient literature in general, in the original languages; the desire to create readable poetic translations came much later. I’ve written elsewhere about how, when I was eight, my primary school had a production of a version of the Odyssey, and I got to play Athena. It was a wonderful experience for me, as a geeky, shy kid new to the school, and it unleashed a deep interest in Homer and in Greek myth more generally. I realized—in ways that of course, at eight, I couldn’t have articulated—that these stories spoke to my own experiences, my questions about who I was and how I might fit in (or not fit in), and to my desire to inhabit story-worlds which were very different from my literal environment, but still made their own kind of sense. So over the next few years, alongside the Narnia books, Tolkien, Diana Wynne Jones, and so on, I read a great deal of Greek myth in children’s adaptation, and then moved on to reading the classics in translation; I started learning Latin and Greek in high school. I loved the structure of the languages, the orderliness, the surprises of how things could make different kinds of sense in these alien linguistic fields, and the introduction to a new kind of world order that these languages gave me. I loved the way that, in both languages, we got almost immediate access to literature that seemed so vitally alive and important. In French, we were learning how to buy a train ticket; but in Latin we learnt, through reading Aeneid book 2 in Latin, what happens when a city is sacked, what happens to the old people when the young are slaughtered before their eyes, and the terror of trying to escape and survive. I was a deeply frightened kid, and I loved that Virgil pointed to some real things to be scared about—in contrast to the regular stuff I usually worried about, like my crooked teeth. In Greek we learnt, through Plato, that there might be such a thing as an examined life, and through Euripides, something about the terrifyingly unpredictable patterns in human existence—and about the ways that literature can make you feel you almost understand the incomprehensible. I went on to read the classics at Oxford, and in the beginning stages of undergraduate, I read all of Homer in Greek. It was the first time I’d been so deeply immersed in those poems, not through the intermediary of translation but in their original music and magic. I find these poems endlessly applicable, endlessly re-readable and re-thinkable. Being deeply immersed for the first time in the rhythms and music of the hexameter feels like learning to swim in a new element. And Homer gave me goosebumps even when I was in high school and reading only teeny bits in class. I still get goosebumps sometimes when I reread these great poems. But beyond all that—which is about my obsessive love of Homer and desire to work with and keep reading Homer, if possible as a lifelong enterprise—it was only a few years ago that I began thinking about how to produce literary and poetic translations of Greek and Latin verse. I’ve been interested in how to make sure that each of the authors I translate sounds different, as the originals do. It’s a very interesting and difficult writerly job. The task of translation has now become its own kind of obsession—the question of how exactly to create a coherent, readable English text/poem/play that has its own kind of magic, and that responds responsibly to the original, without trying to inhabit an intermediate ground between Greek or Latin and English, but makes sense in its own terms. It’s a very difficult and very interesting kind of work, and I learn a great deal not only about the originals I translate, but also about the English language. It’s a great privilege to do it because I get to spend so much time grappling and struggling with the original, reading it and rereading it, as well as grasping towards the creation of something different, in a completely different language. There are so many metaphors we use for translation, and no wonder: It’s very hard to understand conceptually because it gets to the root of questions about what meaning is, and what the “essence” of a text is. You have to translate whatever matters most about the original, and there will always be grey areas and debate about what that is. For instance, the fact of having a regular rhythm is an essential, unstoppable element in the original, which I felt I had to replicate in some way. But plenty of translators render regular verse into irregular English. It’s a question of values and of interpretation. It’s like if you have a great structure built out of Legos—like an elaborate and detailed Lego version of the the Eiffel Tower—and your task is to reconstruct it, but with bricks from a completely different company—maybe with Lincoln Logs. Your version has to make sense architecturally by itself, or it will fall over, and it won’t, inevitably, be exactly the same in its solutions to the architectural problems as the original; but the overall effect has to echo the original; it has to be recognizably the same, even while being entirely different. Every translator is doing a version of this exercise, and everyone’s Lincoln Log version of Homer looks different. I think that is a pretty fascinating thing, worth obsessing about. Dr. Ruden: For me, the impulse was more narrow than Emily’s. It sounds as if she started to think about the broad issues from a far younger age than I did. Does anyone remember that Far Side cartoon showing a medieval siege in which someone in the castle notes that the besiegers are now shooting flaming arrows and asks, “Can they do that?”? Until I read Virginia Woolf’s Mrs. Dalloway and, a couple years later, Vergil’s Eclogues, I hadn’t known that people could do such outrageously impressive things with language. It seemed almost a violation of the universe’s order. “First a warning, musical; then the hour, irrevocable. The leaden circles dissolved in the air” [from Mrs. Dalloway]. Or at the end of the Eclogues, darkness, in which nothing can grow, closes in on the pastoral singers, the limits of the natural world falling on their melodious dreams. My adolescence was kind of a massacre. I was doubtful about my own ability to do anything, and monstrously distrustful of other people. But in literature, people had done things that truly spoke to me, and I could at least hear what they had done. That was in itself a significant advance for me. In a while, I set about trying to imitate them, translation being of course the shortest route to imitating the Greek and Latin works. I composed a rather hysterical English version of three or four Eclogues as part of my senior honors thesis at Michigan, and the thesis won an award. Translation was probably the earliest effective religious education I had; at any rate, it rooted in my mind certain realities that combated a materialist and rather brutal view of the world. Language, for me, was a startling gift —such a powerful way to reach into another world; but a true gift: effortless, instinctive. It set me thinking about the unseen; it prompted me toward possibilities in human relationships, and in human relationships to the divine, that had never occurred to me. David: I’m intrigued by what seems to be a common thread in your two experiences. And I suspect that this thread is there for anyone who dares translate anything very good at all. Beyond love for the stories themselves, beyond the characters and the mythologies, beyond even the ideas and themes in these great works, you both have a deep love for the nature and workings of language itself. Is this love freeing or frightening as you pursue the translation of works so beloved as the Odyssey and the Aeneid? Dr. Ruden: The Face of Water is about how much I love the original Bible and why, so I do a lot of translating in the book. Now, partly because I’m a woman, I have the habit of fear. I was afraid, particularly, that I would offend through my new translations. But I realize now that my love of great works was going out to speak for me and to me together with people of whom I had been afraid. The political divide has been billed as a sort of law of hatred these days. I’m an Easterner, a Quaker, an internationalist, a perpetual student —I expected hostility and contempt. But what I meant by writing that book is true: The greatest works are everybody’s. They let us speak to one another when we are too weak and silly to do it. For me, that’s pretty much all the time! Translating has become my mission to find the love that casts out fear. I’m relatively bad at speaking for myself, yet I’m probably never going to give up the “writerly” strivings that are characteristic of hyper-individualistic modern culture. Still, I’m lucky to have translating, so that it’s not always about me, my experience, my identity: It can also be about something people have in common already. Dr. Wilson: This answer is very profound. I am very struck by the idea that great works enable us to speak to each other across all kinds of divides. You create a binary between love and fear, which doesn’t entirely make sense to me. There’s a great essay by Stanley Cavell on the avoidance of love in King Lear. Cavell argues that in that play, and also in life, love itself is very often what we’re most afraid of. Instead of love, which involves being able to meet the eyes of another person, and recognize and be recognized by them, we hide behind false love or false words or shame or narcissism. Cordelia’s sisters express false love with their rhetorical excesses, and Lear chooses that false love, because he is scared of the intimacy of telling the truth. For me, translation is definitely an act of love, both for the English language and for the original language and original text. Part of what that love means is being willing to be unashamed about what I can’t say or do in English. It’s like Cordelia in Lear, who says, “Love, and be silent.” I have to acknowledge, from the start of any translation project, that however deeply I love the original and however responsible and truthful I am in every stage of the process, to whatever elements of the original text and my own in-creation text I can see, what I produce will never be the same as the original. The more I love and see the original, the more I will know about the silence or gap between languages, and the more I will be aware that the two members of the loving dialogue—the original and my translation—are separate as well as intimately linked. Acknowledging that fact at the start and at each step of the way is essential, and it’s part of choosing love rather than fear. I know that I have to be lovingly, attentively, truthfully immersed in the original poem and in the process of figuring out how to create a new text that reflects what I see, with as much open-eyed vision of the truth as I can muster. I feel privileged to be able to work every day in an area that I truly love. David: So in your mind, what is your primary role as a translator? Is your job to add something original to the conversation about ancient texts? Is it to help new people discover these texts? Is it to preserve something old in a culture that is increasingly uninterested in such things? Something else altogether? Dr. Wilson: I find this question very hard to answer. There are so many elements to the work. I could say “All of the above,” but that sounds like a cop-out. I guess, in response to your last option: Lack of interest is a close cousin to the feeling that there’s nothing new to learn. It seems to me that one big problem with ancient Greek and Roman texts is that so many people have an idea that they already know what they’re saying and doing. I think that idea is very often false. New people can discover them, and people can rediscover them, or in fact discover them and realize their prejudices were wrong, if translations don’t inscribe classical literature as being, doing, saying exactly what you’d expect them to be, say and do. I don’t mean at all that a translator ought to gussy up these texts in false, inauthentic ways, to make them shocking or “relevant.” It’s not about sprinkling glitter. I mean the opposite: Certain quite debatable practices and interpretations can become the norm for translations, and can then prevent readers from questioning those interpretations, or being as deeply engaged with the text as is possible, once you change the paradigm. Keats couldn’t get anything out of Homer when he’d only looked at Cowper and Pope; he needed to dip into Chapman to get that glimmering of a new world. I want the cockney poets of today to see the past as a new world. For instance, the conventional way of archaizing or using foreignizing or clunky English, on the one hand, can feed into our prejudice that ancient literature will be boring, stuffy, and unreadable. The use of bombastic, melodramatic language can fit into a different prejudice: that ancient literature will be very important and grandiose, and will tell of a world where men were, unquestionably, men. Doing things differently isn’t necessarily good in itself; but neither is doing things the same. Translation isn’t necessarily about coming up with an original argument, in the way that scholarly critical writing is. That said, it quite often does feel fairly close kin to that process: I felt I needed a solid interpretative framework and “take” on the texts I was working on as a translator, and the translation process often sharpened my critical opinions. In retrospect, looking at my translations next to others, I see that they’re different and that, in essence, I am making an original argument by other means. But I don’t set out, in detail on every line, to be different, because I’m not looking at others when I work, just at the original. I’m focusing on how to make it make sense. Dr. Ruden: I tend to think of these things more personally, in terms of important voices that, for whatever reason, aren’t being heard clearly any more. I read and translate in the mode of a thrilling friendship, in which you grow in esteem for an outstanding personality and are anxious for the world to see it at its best. I feel that way about Horace and Juvenal, for example, though I haven’t yet had the chance to publish translations of them. I feel particularly that way about Augustine and Paul of Tarsus, both of whom I think have had bum deals: Their good will and brilliance are obscured by modern prejudice. I’m interested in poorly-understood cultures mainly in connection with individual authors. It helps readers to know more about the contemporary culture, of course. But the real excitement is to intuit through his words how an author changed his culture and helped build ours. That’s one reason I translate sacred literature. Dr. Wilson: I find that very interesting, and I feel very differently. One of the main things I’m interested in doing as a translator both of drama and of epic is bringing out the multiplicity of voices. 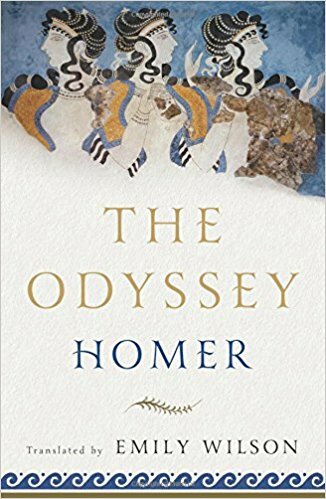 I don’t necessarily think of Homer as an individual, more as a poetic style and a world. I’m particularly interested in thinking through the ways the narrative focus shifts and changes, and how the poem brings out not one but many different perspectives, and I want to think myself inside the minds and feelings of each of them. As a translator, I want to think myself not inside the head of a single person (the author), but inside the workings of the text, the play or poem, and figure out how to make each part of it sing, in language that will be fully legible and audible in our time. I see it as a process of very, very close reading and very intense writing. I re-read Frankenstein last year, and I think one can think of translation in terms of the imagery of that novel: The translator assembles bits and pieces of a dead body or set of dead bodies, and she has to try to bring it to life. She may succeed, but that’s only part of the process: Dr. Frankenstein himself, and the whole human world, turn away from the poor monster, and the failure of humans to show humanity to the alien other is a tragic ethical failure. So the translator also has to be able to figure out how to integrate this new life-form in our culture—without betraying its nature, whatever that turns out to be. Ideally, I’d like to think that our culture itself can be changed by a new encounter with a very old culture, which is possible with new translations that really do bring the monster to life in a new way. Dr. Ruden: Yes, of course: Texts like Homer, without a single identifiable, historically rooted author, are a different story, and in that case the culture as a whole deserves more attention. I’ve had to bring that attitude to translating the Bible. Another dimension is reception; the beloved and foundational status of the Bible imposes special—well, terrifying—compunction. There, I’m clearly not entitled merely to pursue a quasi-personal relationship with an author, mainly out of gratitude for the beauty and insight he has shared with me as an individual. But because I’m quite an emotional person, and a poet myself, with a hard-won appreciation of what it takes to induce people to read an original literary text, I do inwardly construct my translating work that way; but then I have to socialize, so to speak, my final version. Dr. Wilson: It’s interesting that you make the link between poetry, emotion, and figuring translation in terms of friendship with the author. I wouldn’t make those connections at all: For me, emotions, poetry, and personal friendship in real life are all important, but very much distinct categories. Perhaps it’s partly about biographical/personal history. My dad is a writer, which made me aware from a very young age that the author and the text are not the same. I knew that the personas my father assumed on the page were different from the personas he assumed at the family dinner table. I knew that both were legion. I knew that the views he expressed in print one week would not necessarily continue into the next, and that he might be trying on different genres and voices, both in life and on the page. For me, it feels clear that the same applies also, mutatis mutandis, to Seneca or Sophocles or Plato, too. It isn’t necessarily about inauthenticity. I feel in my own life that the “me” who is speaking now is different from the “me” who pours my kids’ cereal and cleans out the cat litter, and very different from the “me” who exists in my ongoing work translating Sophocles. This feeling of being many, containing multitudes, is central to how I experience the world, and it’s one of many reasons I’m interested in the Homeric depiction of Odysseus.